Invent a new technique and apparatus for the wireless activation of downhole equipment. Our client is a world leader in post drilling, downhole product development and manufacturing. They needed an entirely new approach to activating downhole equipment without the use of e-lines or cables. Naturally, the new technology had to withstand the extreme temperature and pressure of the downhole environment. It also had to survive the high levels of shock and vibration it would encounter. 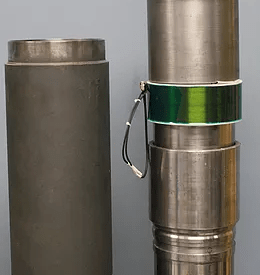 While the wireless operation is not new to the downhole industry, the existing solutions relied on low-frequency transmission through fluids that severely limited their capability and range. The new technology could not suffer from those constraints. It also had to be flexible enough to be utilized in numerous, diverse products. Finish Line was called in to invent a solution, implement the technology in multiple products and assist with the patent filing. Despite preeminence in their field, this project transcended our client’s in-house expertise. They specialize in all things mechanical and hydraulic. Finish Line provided all the other requisite engineering specialties to craft a unique and robust solution to the downhole, wireless activation challenge. The Finish Line team’s expertise in communications, ultra-low-power electronics, software and high-reliability devices enabled us to pioneer a new technology for the downhole market. In addition to the breadth and depth of the Finish Line engineering skills and experience, the coordinated efforts of the company’s team and the established product development methodology were essential to both the invention and realization of this new technology. Unique wireless transmission technique between free running dart & stationary downhole device(s) to initiate device activation either selectively or en masse. Low power electro-mechanical triggering device to activate downhole devices. High-reliability design utilizing parallelism and redundancy.